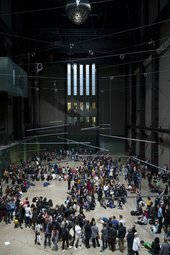 Public warm up photo - If Tate Modern was Musée de la danse? À bras-le-corps - If Tate Modern was Musée de la danse? 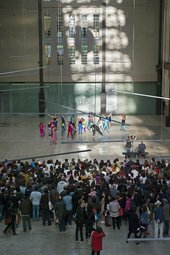 Manger (dispersed) - If Tate Modern was Musée de la danse? Originally trained at the Paris Opera Ballet, Boris Charmatz has been challenging preconceived notions of dance for over twenty years. In 2009, Charmatz became director of the Centre chorégraphique national de Rennes et de Bretagne in France, which he renamed Musée de la danse (a dancing museum). His concept of a museum as the framing device for dance (the most ephemeral of cultural forms) redefines the very notions of museum and collection. Tate Modern and Sadler’s Wells present Musée de la danse in London, a major new focus on the work of French choreographer, dancer and agitateur Boris Charmatz. Following Charmatz’s thought provoking piece enfant in 2014, Sadler’s Wells presents the London premiere of his works Aatt enen tionon and manger, as well as the UK premiere of Partita 2, a work by Anne Teresa De Keersmaeker, performed by De Keersmaeker, Boris Charmatz and the violinist Amandine Beyer. Boris Charmatz's Adrénaline in the Turbine Hall: a dance floor for everyone at Tate Modern. 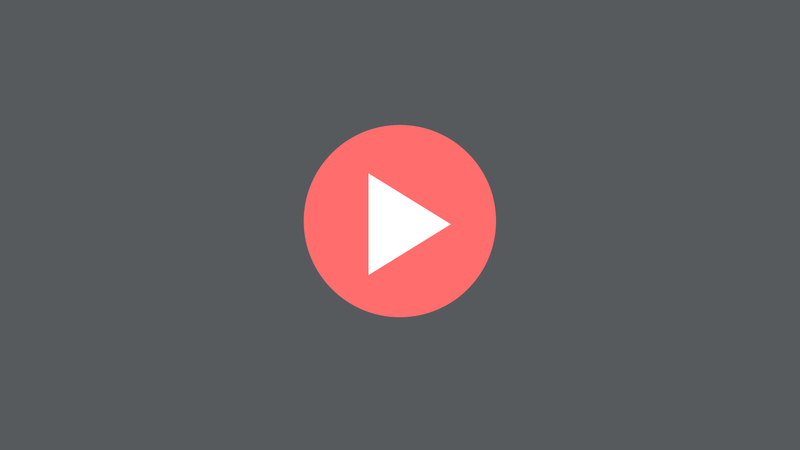 Performances from BMW Tate Live: If Tate Modern was Musée de la danse?